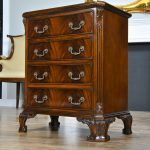 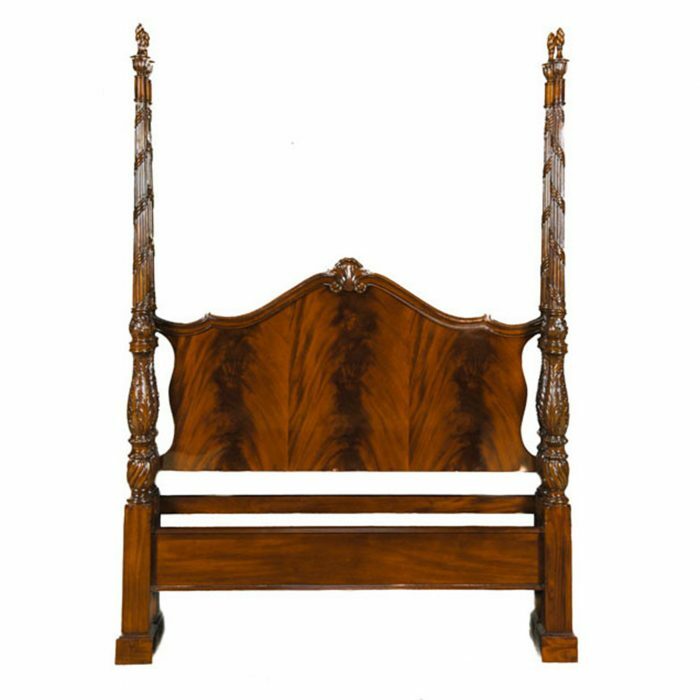 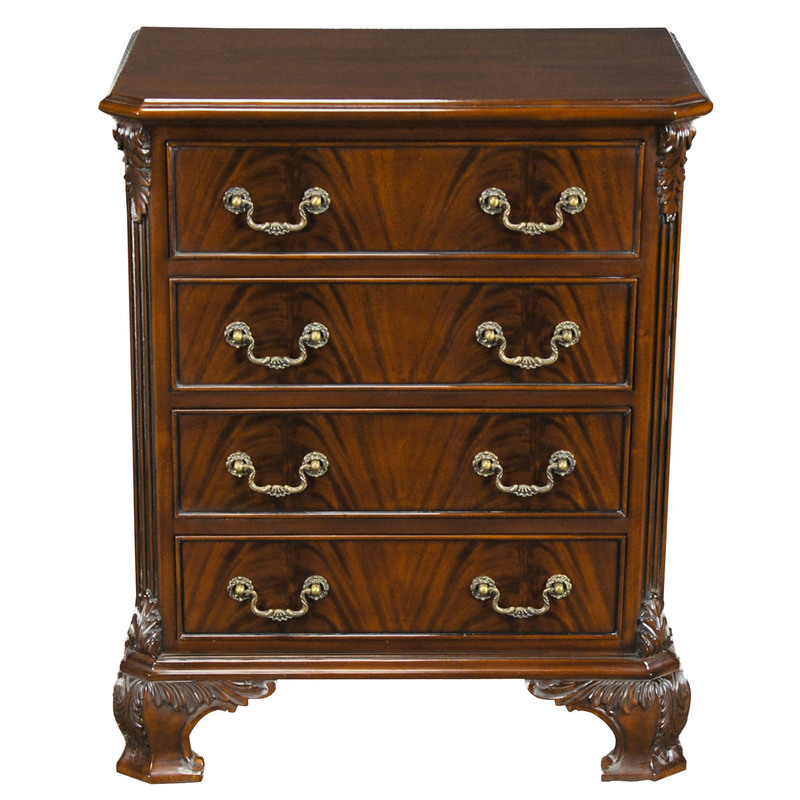 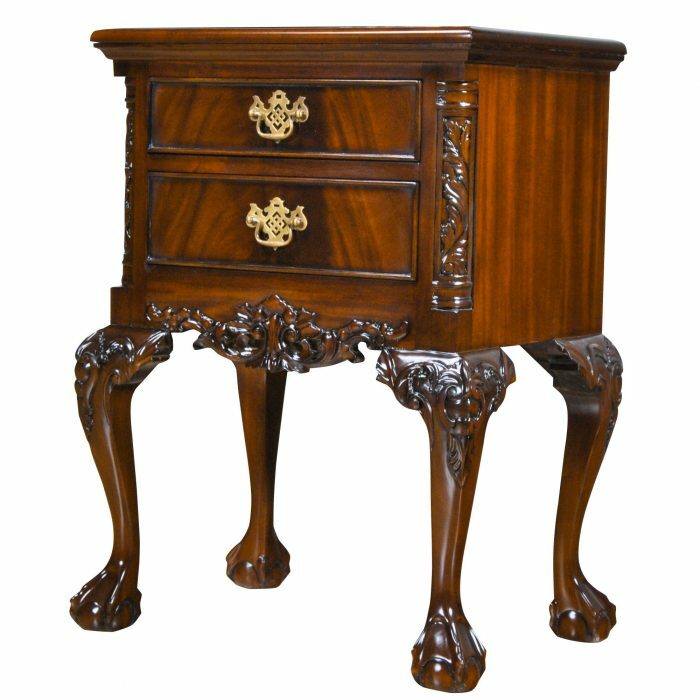 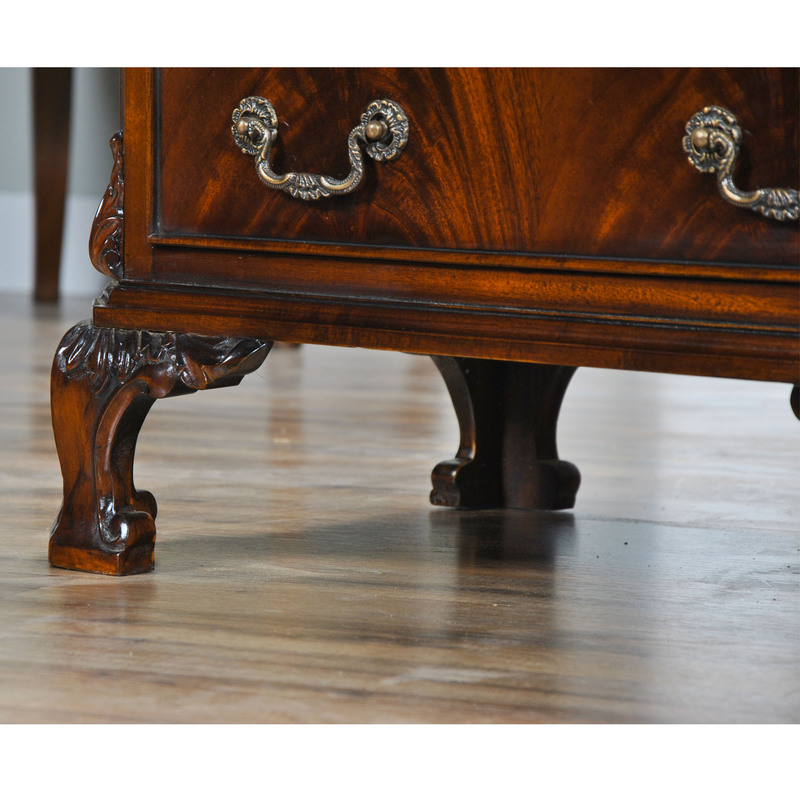 A fine quality Chippendale Night Stand featuring hand carved, solid mahogany details as well as dovetailed drawers. 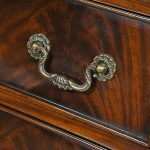 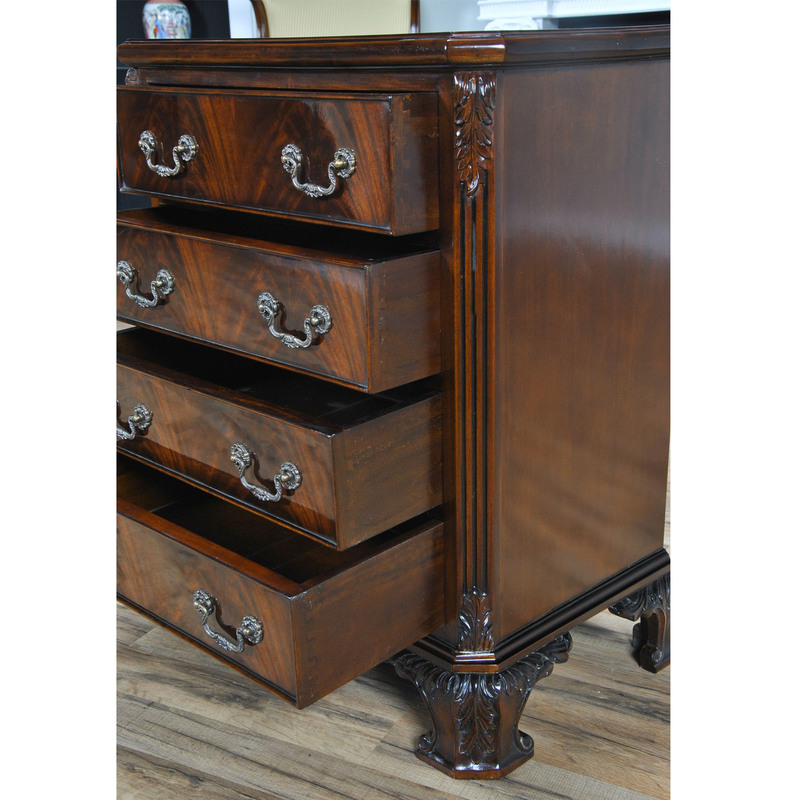 Fine quality drawer fronts create a beautiful pattern, accented by antique style hardware. 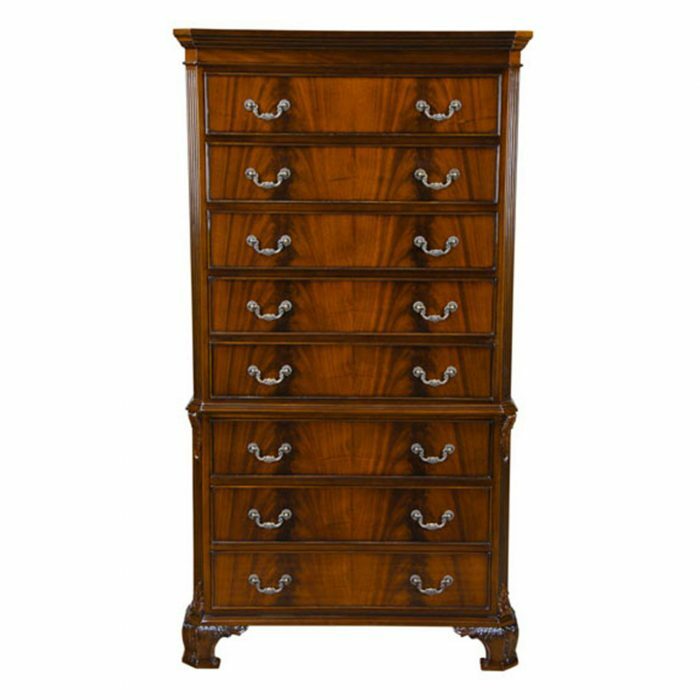 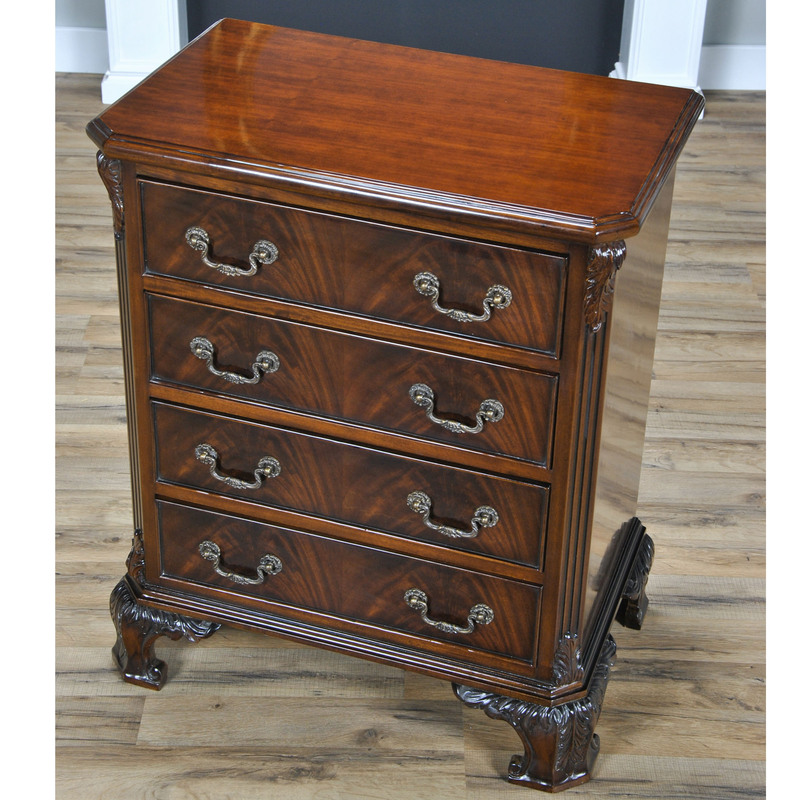 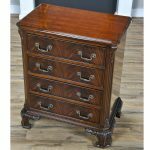 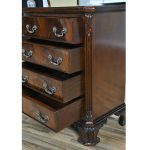 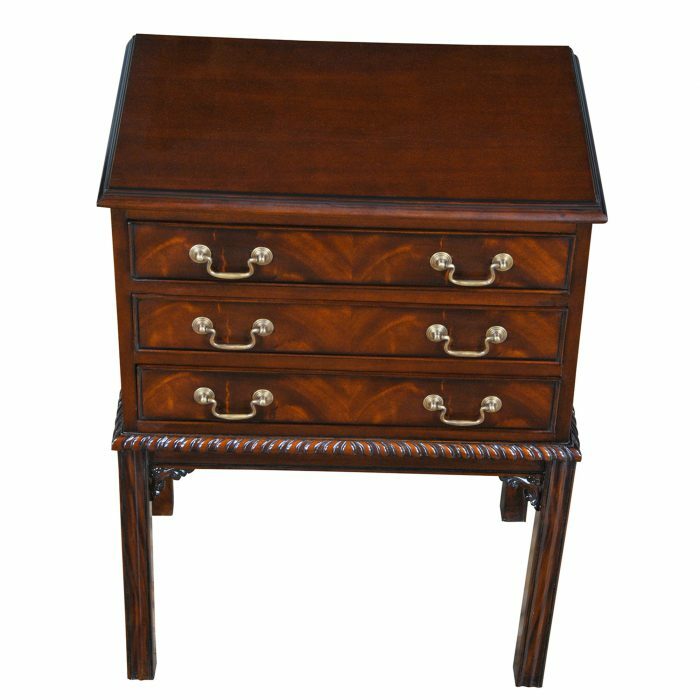 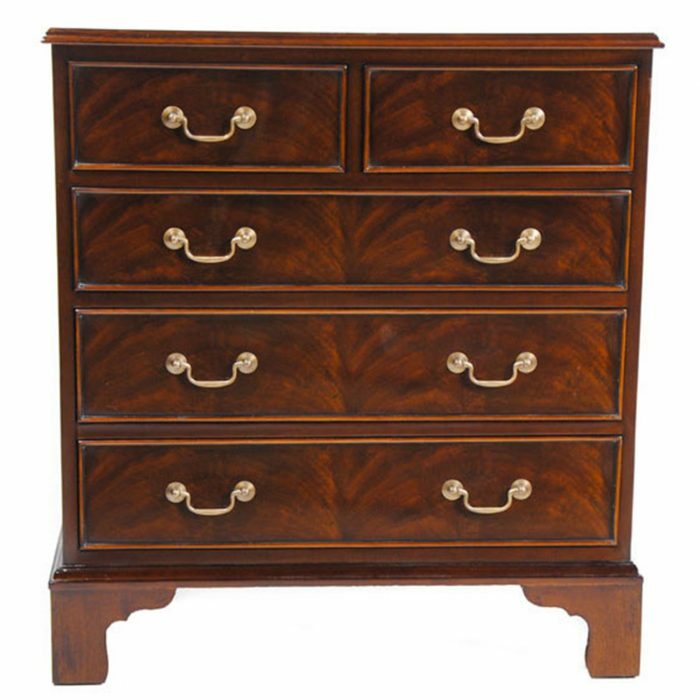 Taller than most of our night stands this item is also well suited for use as an end table, an entry way piece, an office cabinet. 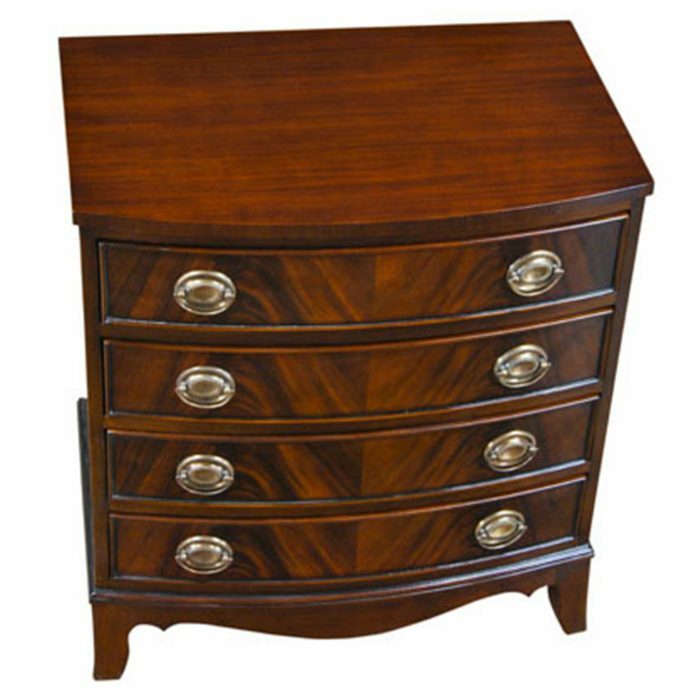 Matching Niagara Furniture items can be found below in our “related products” category. 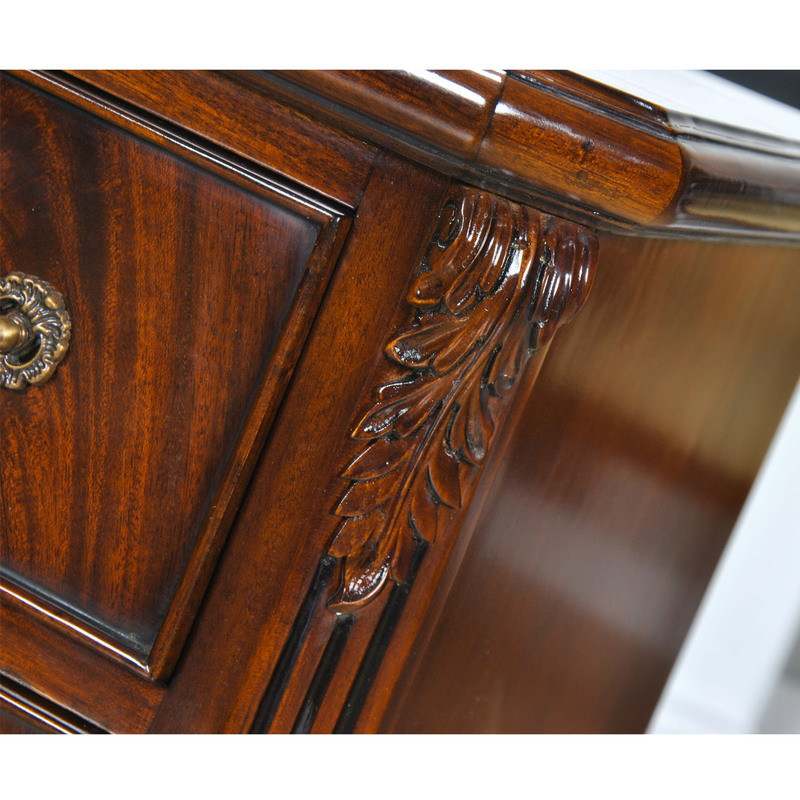 Choose the items you need and create your own stunning setting.